Cambridge, MA — Three years ago, when Edward Snowden fled from the US and met with reporters in Hong Kong to reveal his reasons for leaving — he asked them to put their phones in the hotel room refrigerator. He asked them to do so in order to block the signals sent to and from the phones. 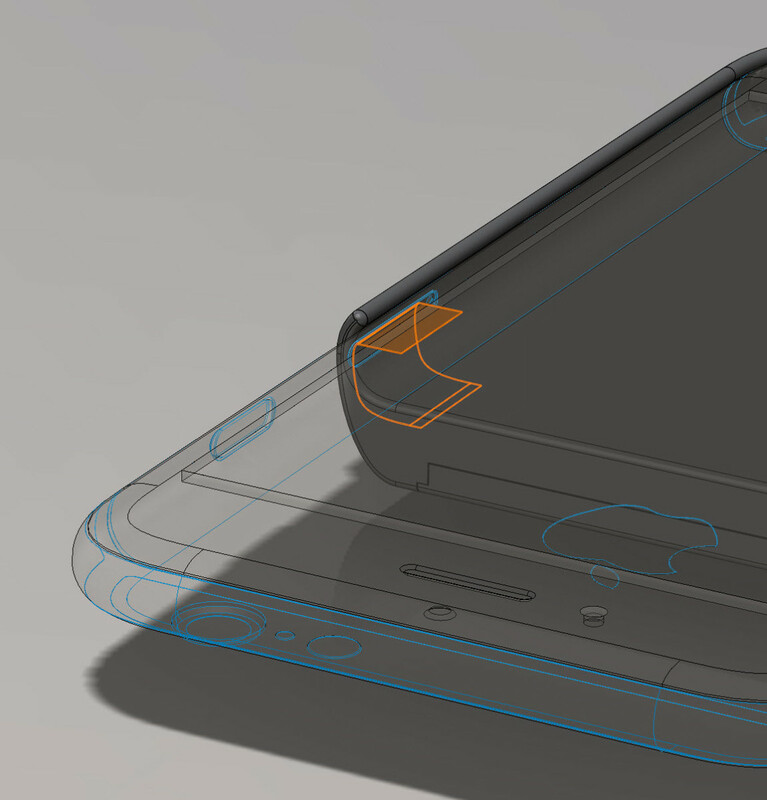 Now, three years later, Snowden and Andrew ‘Bunnie’ Huang have used that same principle to design a phone case that warns users when their data is being monitored. Say hello to the Snowden phone case. Snowden and Huang revealed their plans for the case via video link to an event at the MIT Media Lab in Cambridge, Massachusettes. The duo showed how the device connects to the phone’s radio transmitters and alerts the owner when a cellular, Wi-Fi or Bluetooth connection is being used to share or receive data. According to Snowden and Huang’s research, the idea to make such a case was inspired by protecting journalists. Front-line journalists risk their lives to report from conflict regions. Casting a spotlight on atrocities, their updates can alter the tides of war and outcomes of elections. As a result, front-line journalists are high-value targets, and their enemies will spare no expense to silence them. In the past decade, hundreds of journalists have been captured, tortured and killed. These journalists have been reporting in conflict zones, such as Iraq and Syria, or in regions of political instability, such as the Philippines, Mexico, and Somalia. Unfortunately, journalists can be betrayed by their own tools. Their smartphones, an essential tool for communicating with sources and the outside world–as well as for taking photos and authoring articles–are also the perfect tracking device. Legal barriers barring the access to unwitting phone transmissions are failing because of the precedent set by the US’s “third-party doctrine,” which holds that metadata on such signals enjoys no legal protection. As a result, governments and powerful political institutions are gaining access to comprehensive records of phone emissions unwittingly broadcast by device owners. This leaves journalists, activists, and rights workers in a position of vulnerability. Reporter Marie Colvin’s 2012 death is a tragic reminder of how real this vulnerability can be. A lawsuit against the Syrian government filed in 2016 alleges she was deliberately targeted and killed by Syrian government artillery fire. The lawsuit describes how her location was discovered in part through the use of intercept devices that monitored satellite-dish and cellphone communications. This device will act as a kill switch that would pull the phone’s power supply when it detected radio transmitting after the owner has attempted to turn it off. As Snowden points out, Airplane mode is often ineffective at preventing such communications interception. Turning off radios by entering airplane mode is no defense; for example, on iPhones since iOS 8.2, GPS is active in airplane mode. Furthermore, airplane mode is a “soft switch”–the graphics on the screen have no essential correlation with the hardware state. Malware packages, peddled by hackers at a price accessible by private individuals, can activate radios without any indication from the user interface; trusting a phone that has been hacked to go into airplane mode is like trusting a drunk person to judge if they are sober enough to drive. While the device is still far from ready for commercial distribution, Snowden and Huang note that they hope this case study will influence how individuals perceive their personal tracking devices they carry around in their pockets — also known as cell phones. 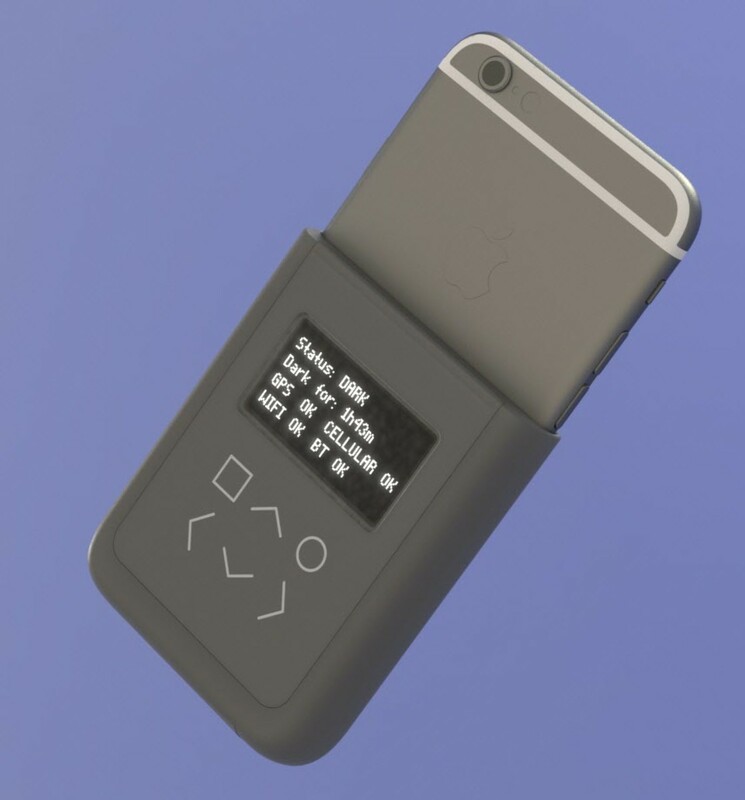 Judging by how well the news of this device is being received, Snowden and Huang should start a crowdfunding effort. Also, judging by the ever-increasing size and scope of the police and surveillance state — this thing needs to be built yesterday.